Arlen and Karen Knight's commitment to their family and the desire to make their community a better place is clear to all whom they have touched. The Knights were involved in many local organizations. Arlen was the Founder and President of the Santa Barbara County Surf Club. Over the years, they were committed to Montecito Early School, Crane School, Channel City Club and Montecito Country Club. 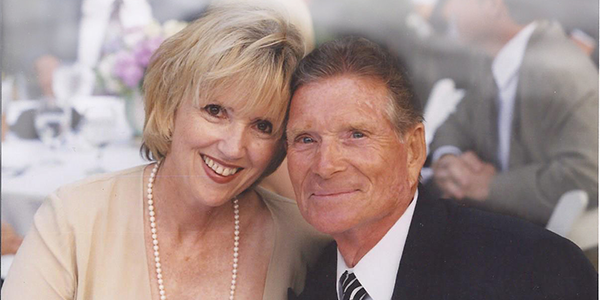 Karen describes the couple's multi-faceted involvement with United Way, "We really believed in the commitment to helping children, families and the elderly of the community. Human Services is one of the hardest fundraising challenges, but one of the most rewarding when you realize you are truly changing lives." In 1993, Karen became United Way's Leadership Services Officer on a very part-time basis. Over the years her commitment grew and during her 15 years with United Way, Karen shared her enthusiasm for United Way's extraordinary accomplishments, particularly in the area of improving literacy among youth and the underprivileged. "When you give a child or an adult the gift of literacy, you transform their educational and/or work experience forever," explains Karen. As annual donors they were Leadership Circle Bronze Members for 15 years, even after they moved from Santa Barbara. Arlen passed away on December 26, 2015. Through their family Charitable Remainder Trust, Arlen and Karen will leave a legacy that will continue to improve the lives of many people for generations to come.